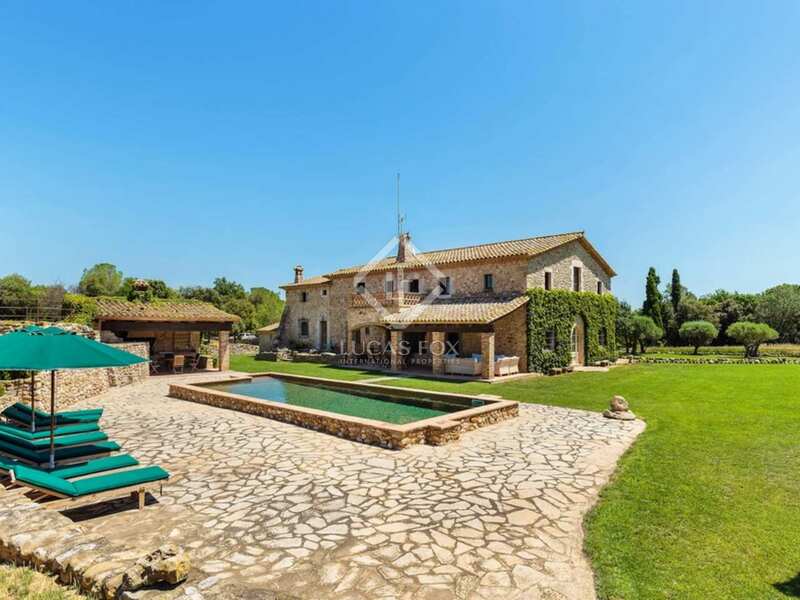 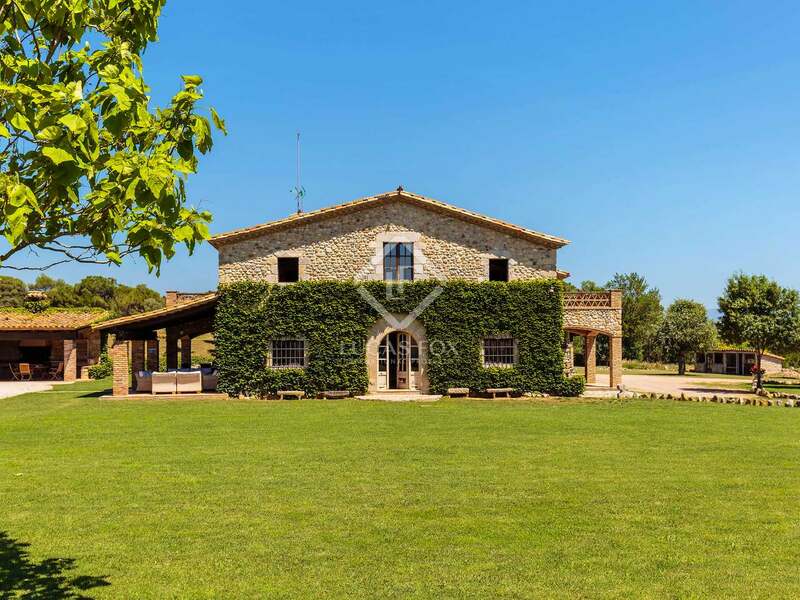 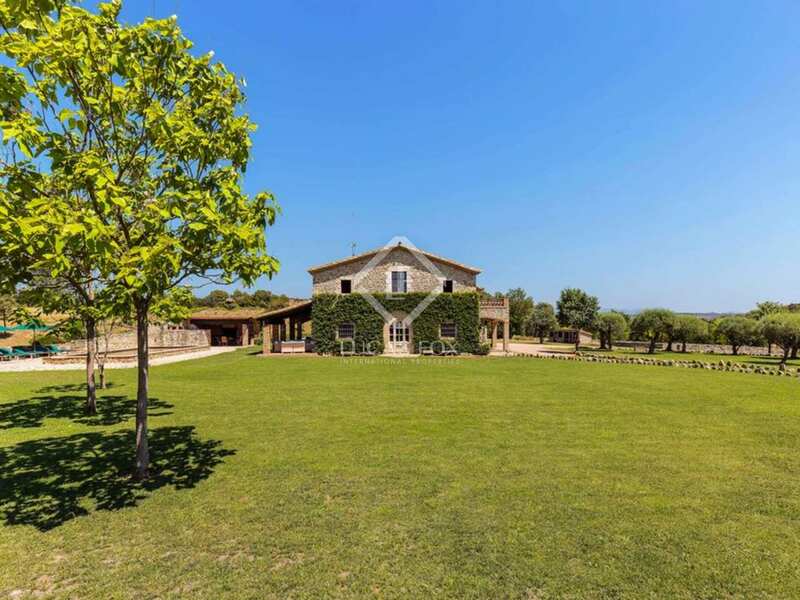 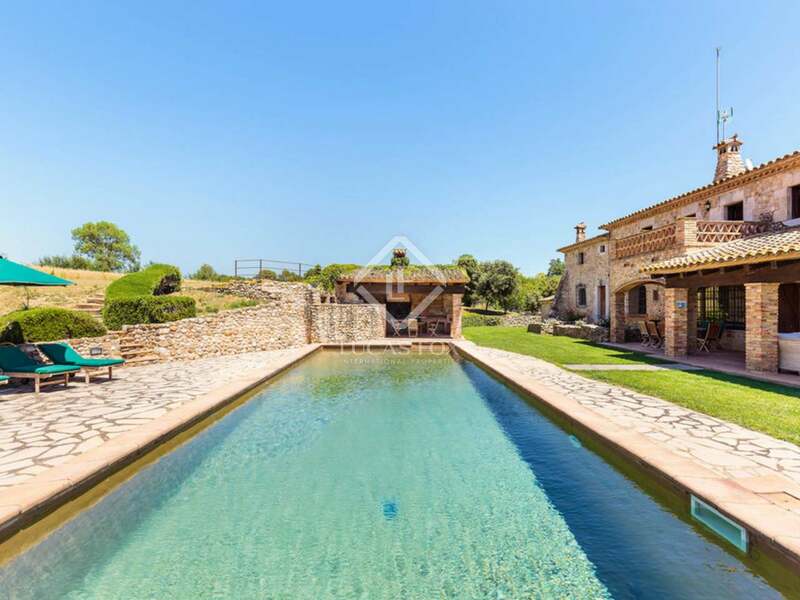 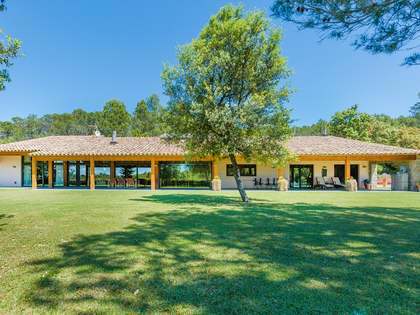 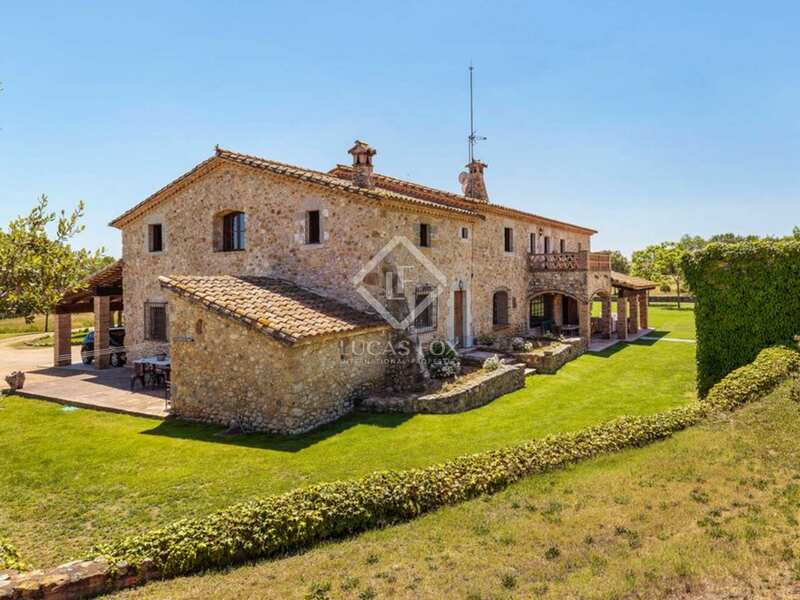 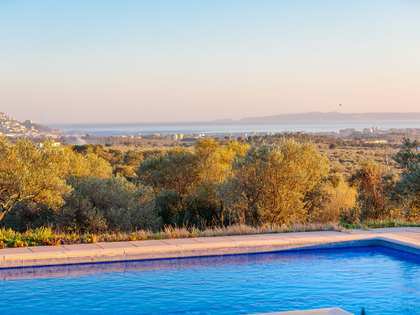 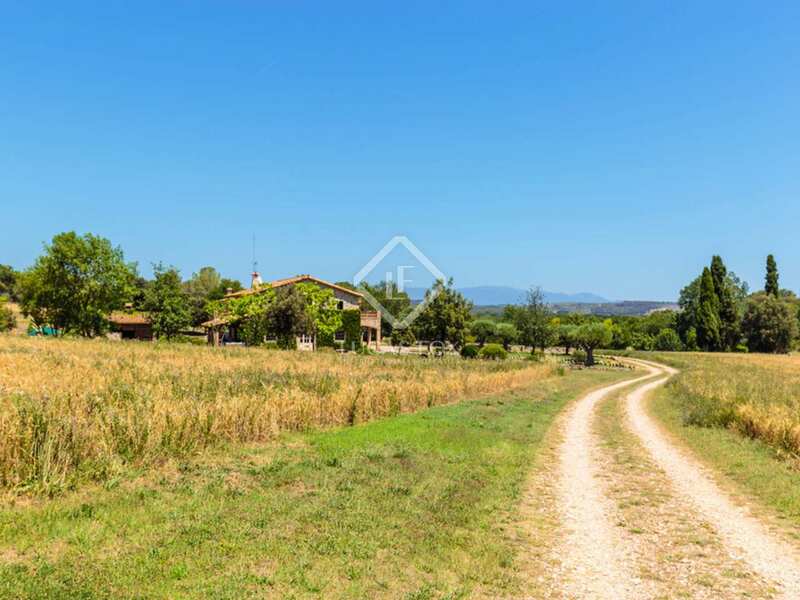 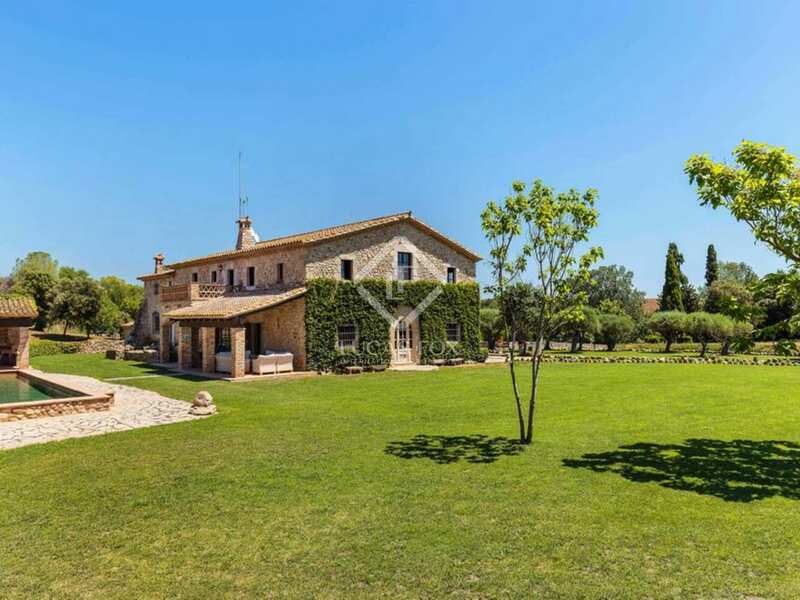 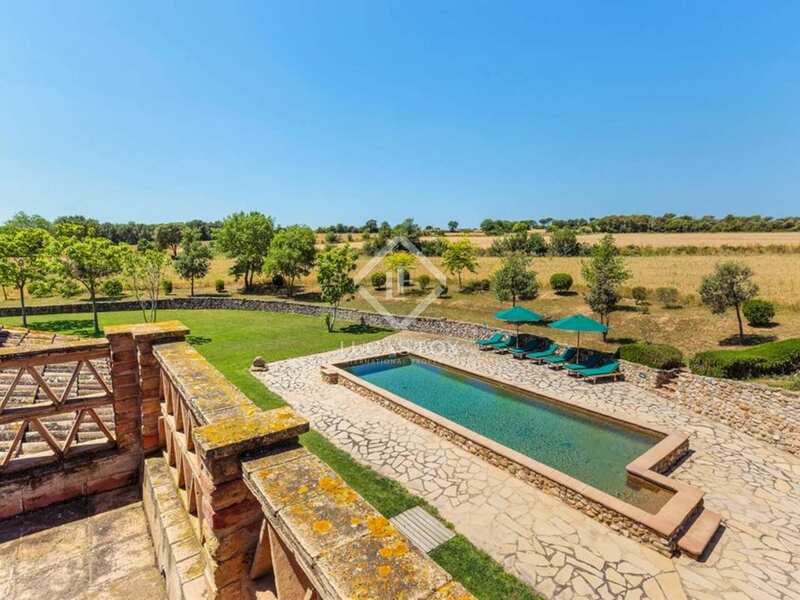 A beautiful country house, constructed in 2001 in the style of a traditional Catalan masia, situated in a stunning setting which offers total privacy and spectacular views. 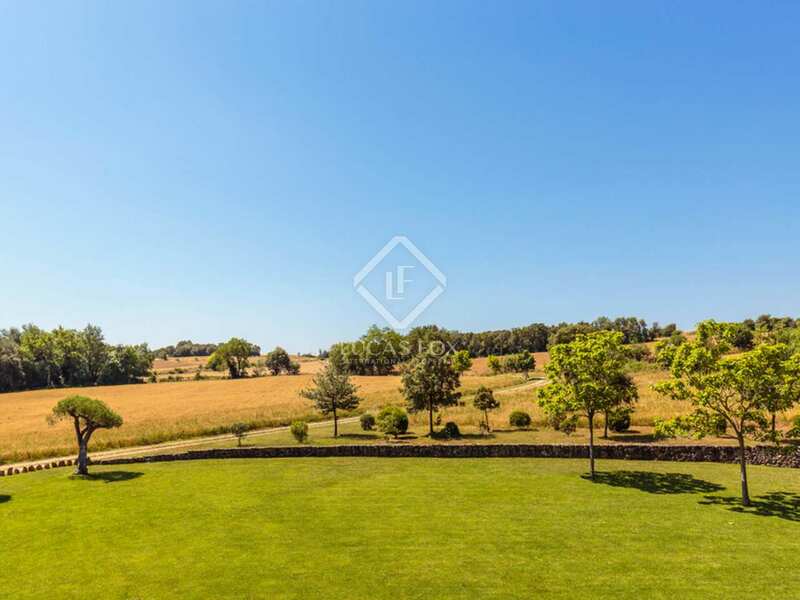 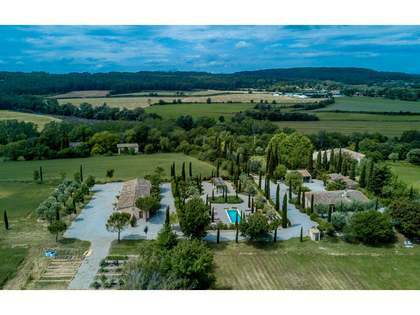 This exceptional property is set in more than 8 hectares of private land including landscaped gardens, fields and private woodland. 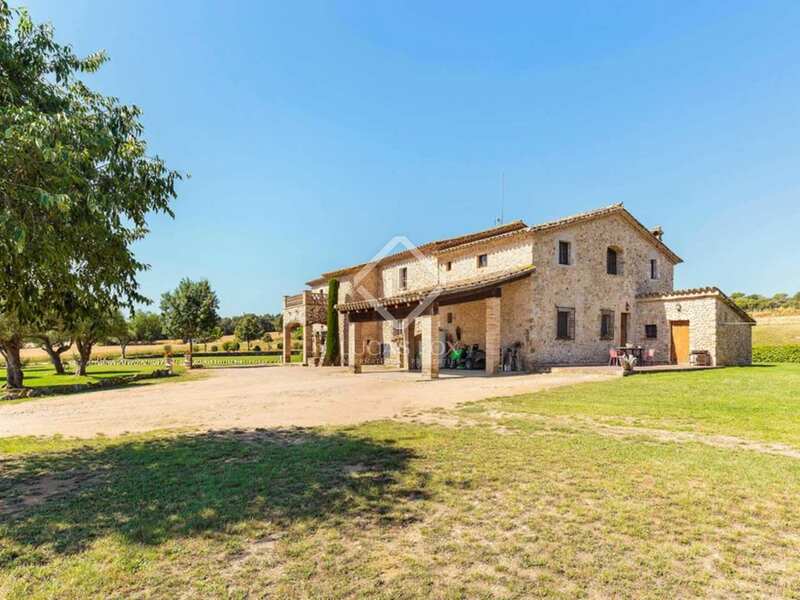 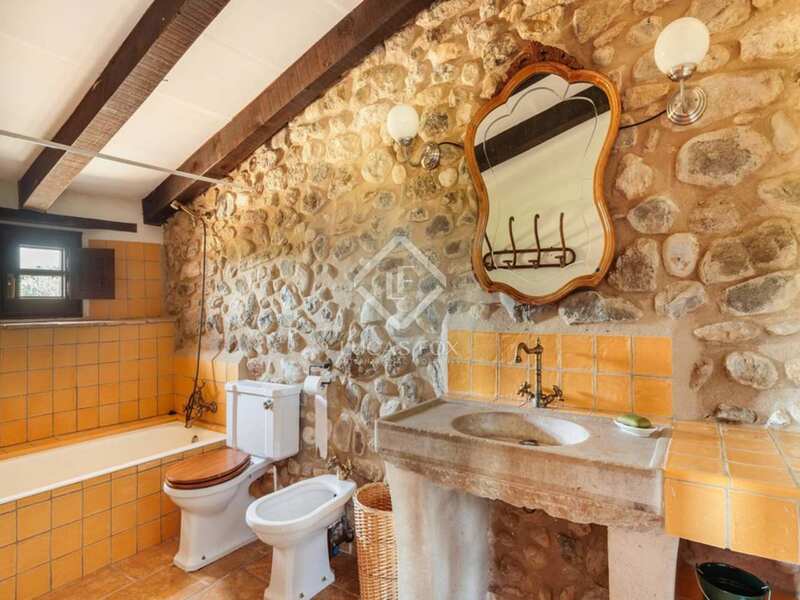 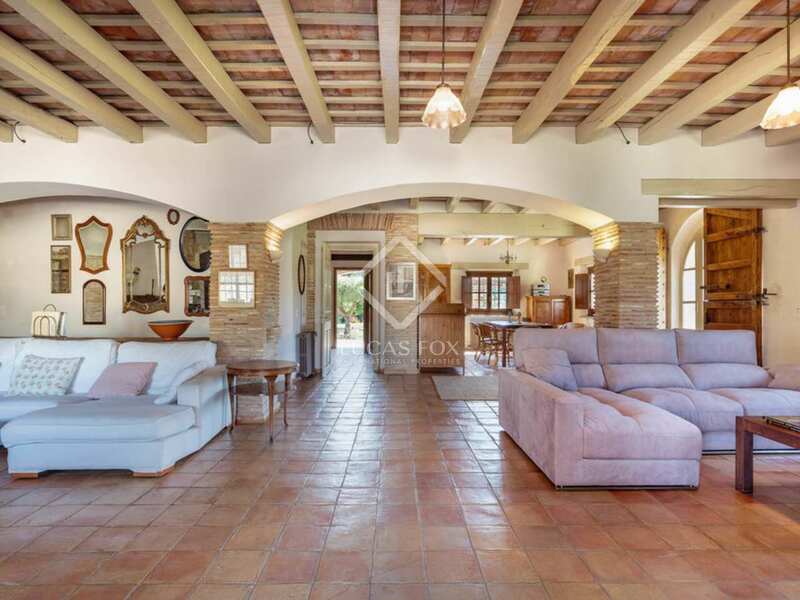 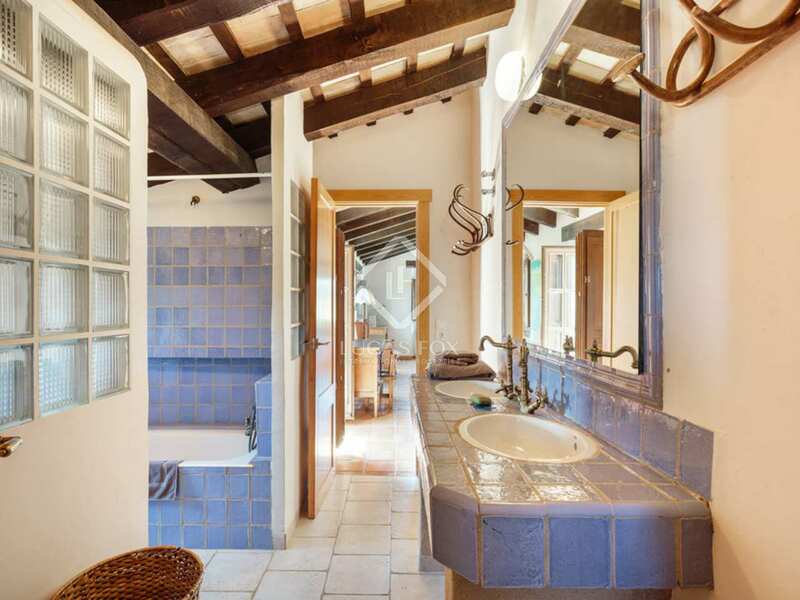 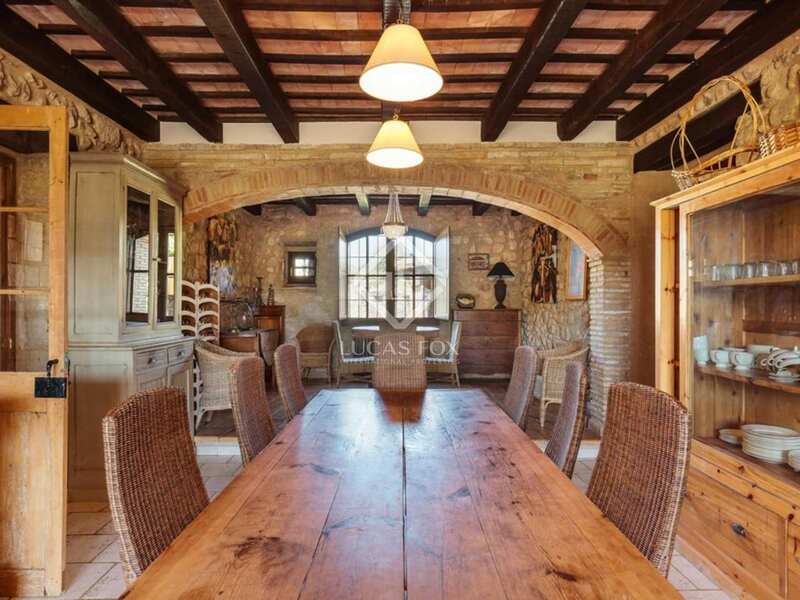 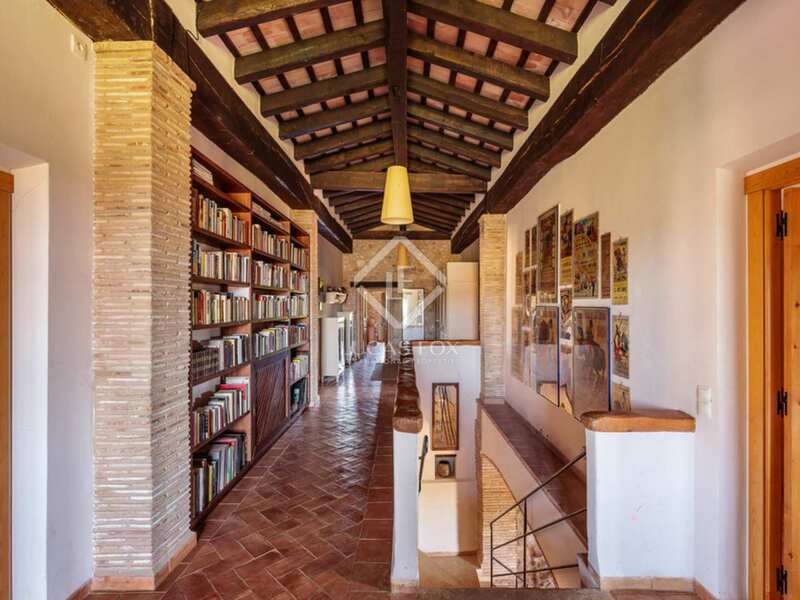 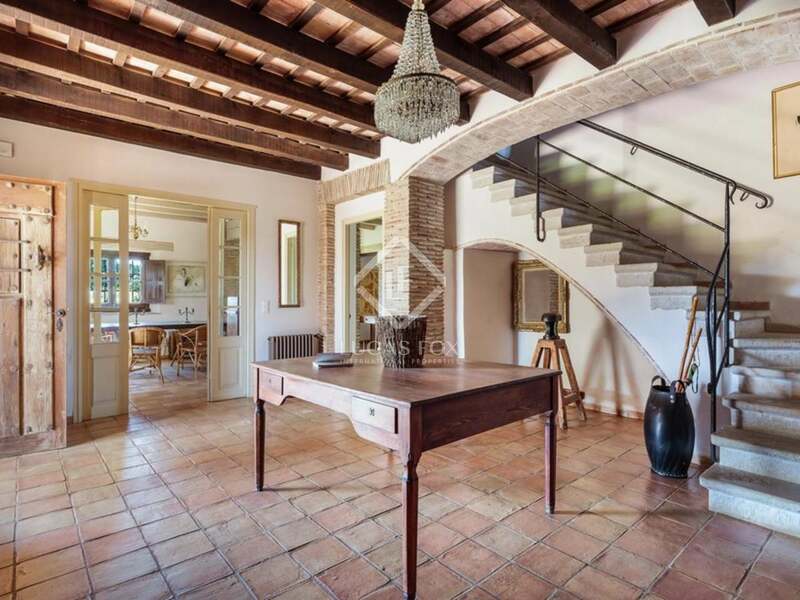 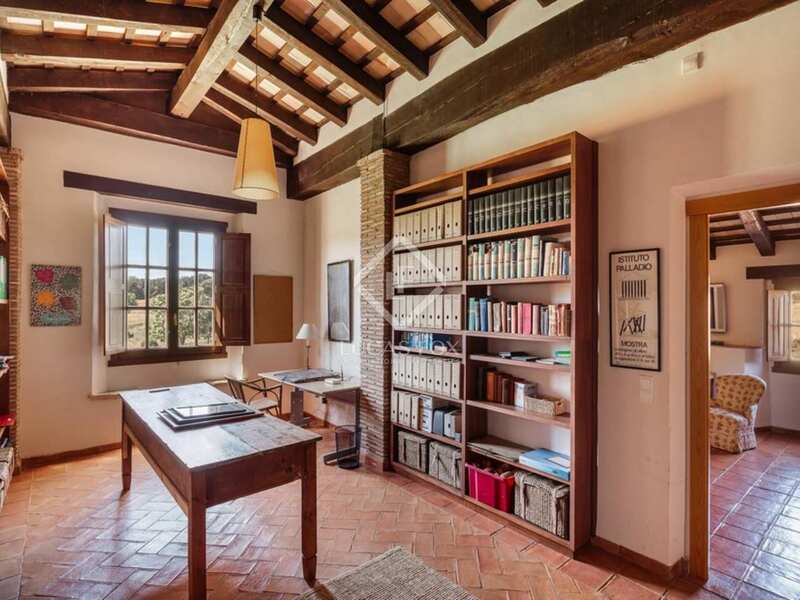 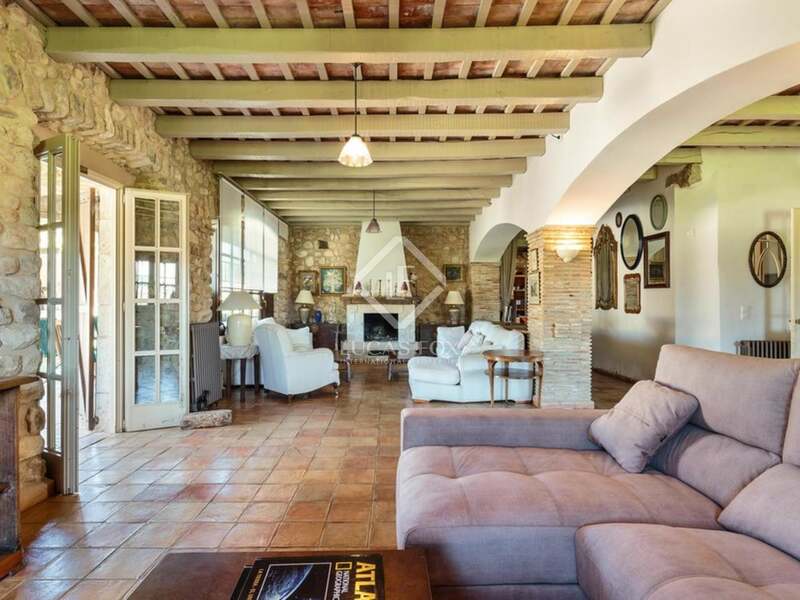 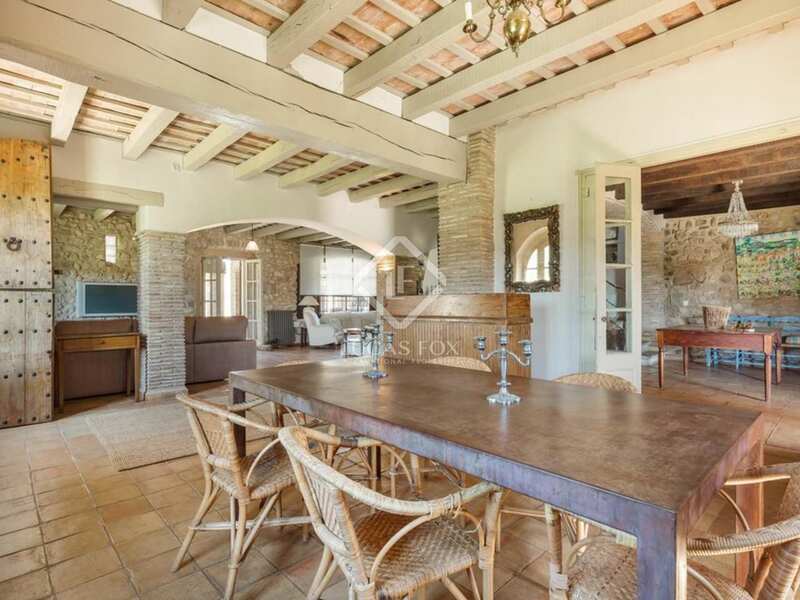 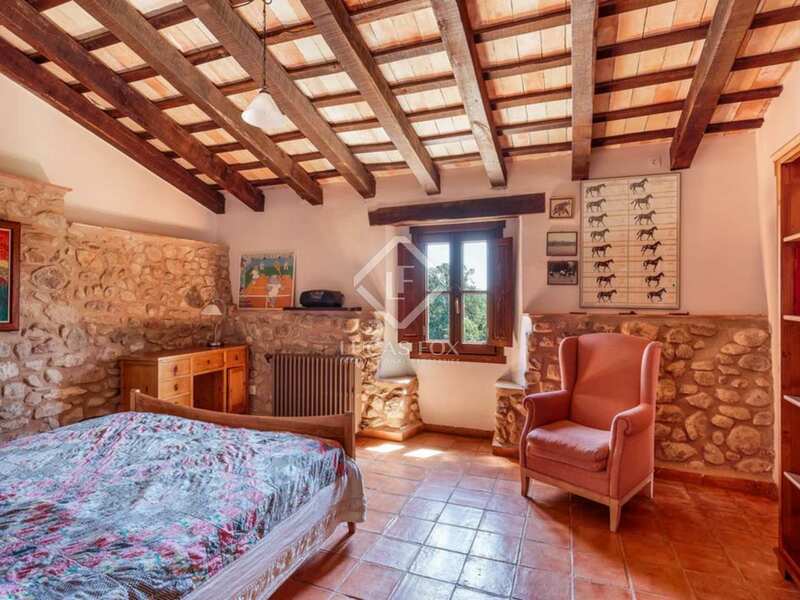 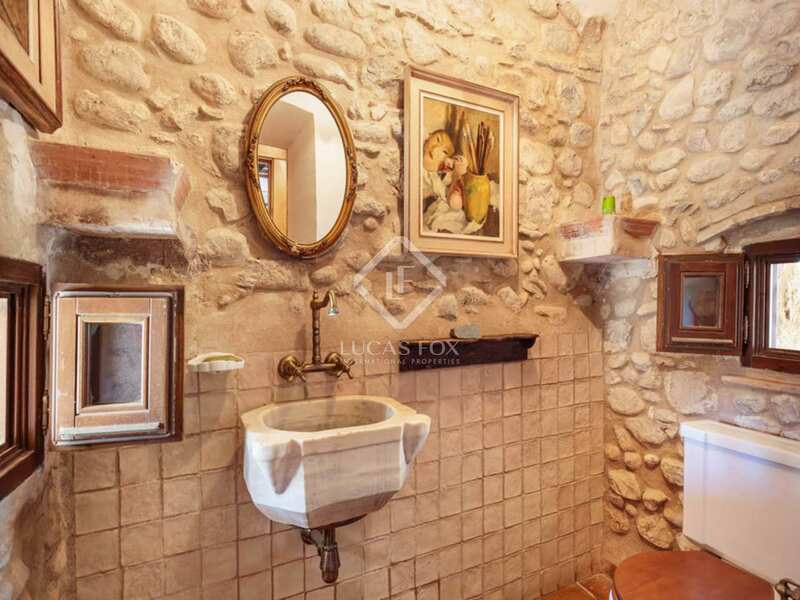 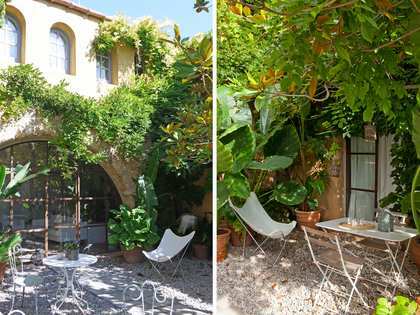 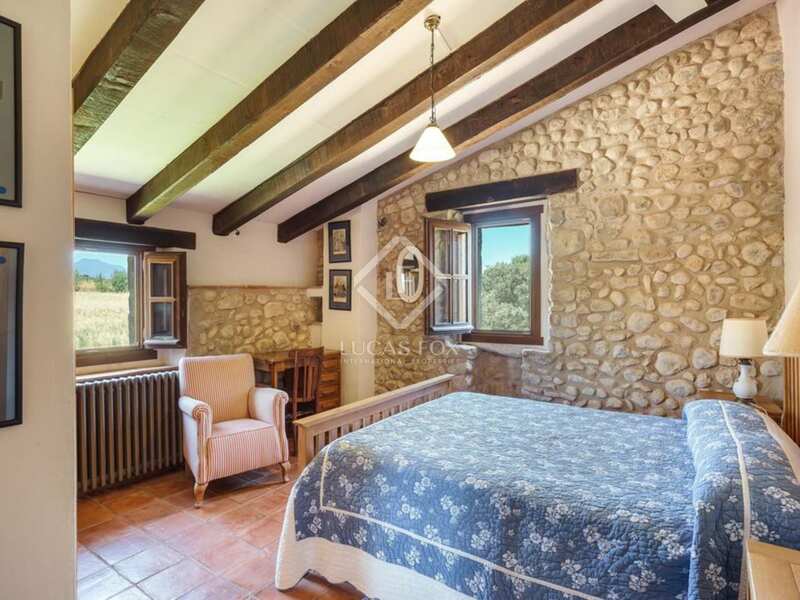 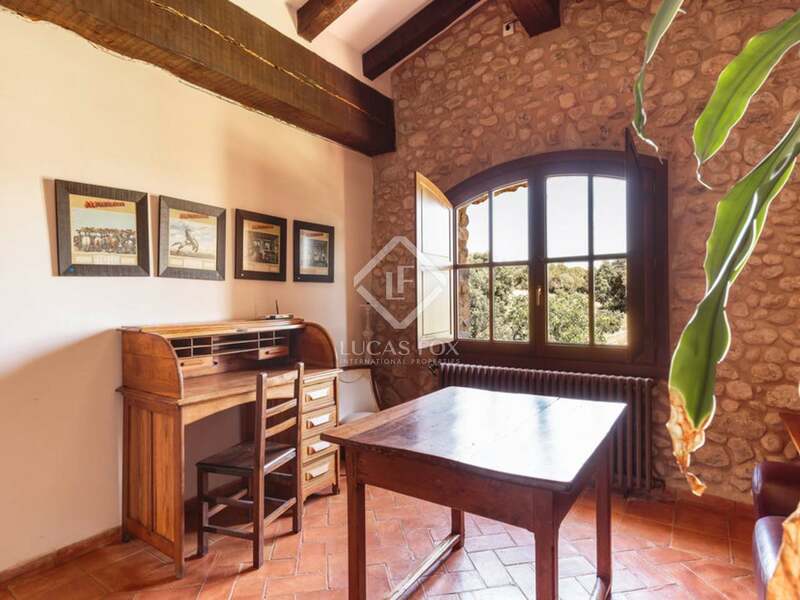 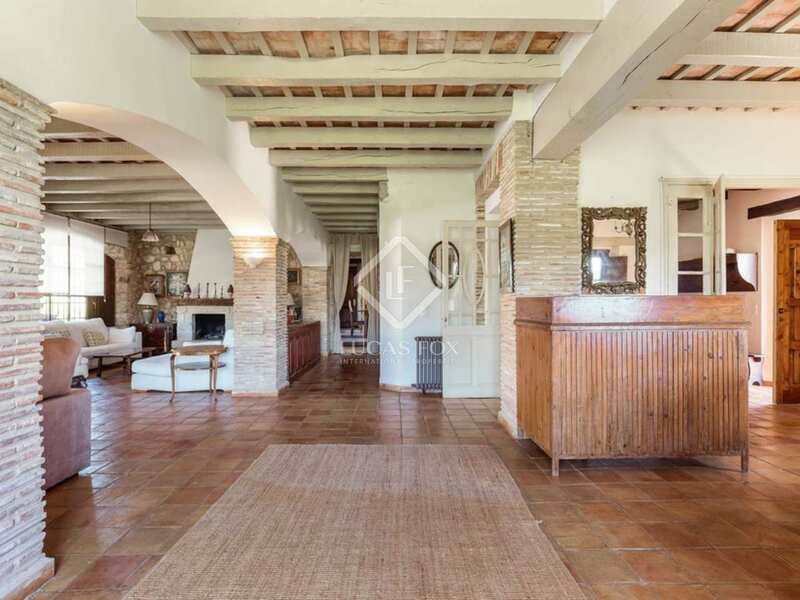 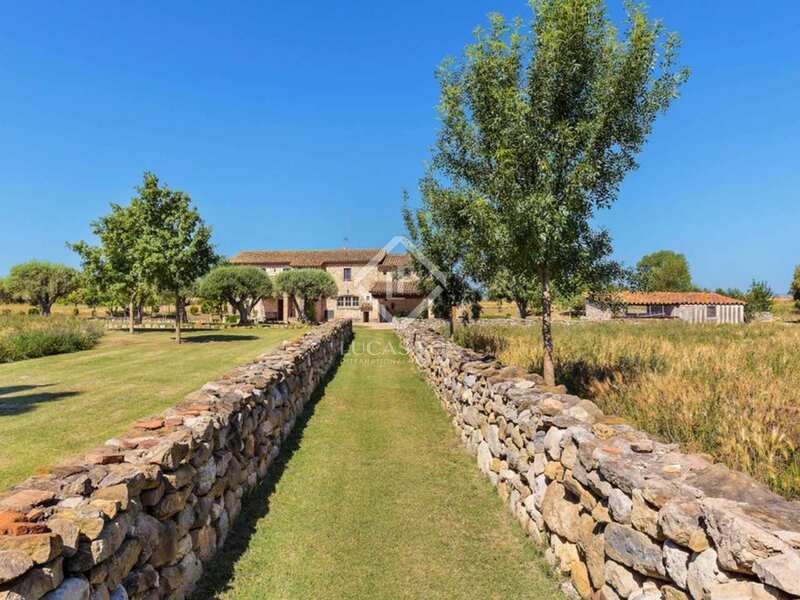 The house is presented in excellent condition, constructed in 2001 in the style of a traditional Catalan stone masia and boasts beautiful features typical of this style of property. 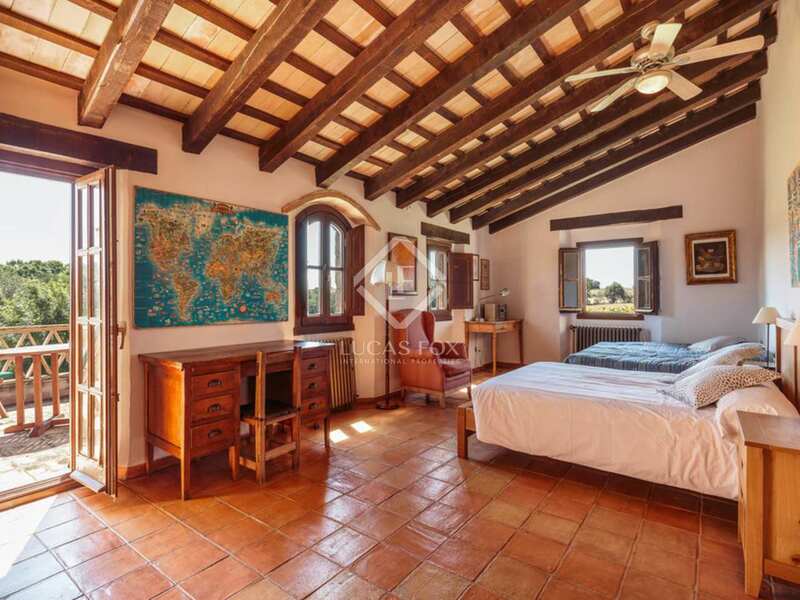 The main house has 7 bedrooms including a 1 bedroom staff apartment. 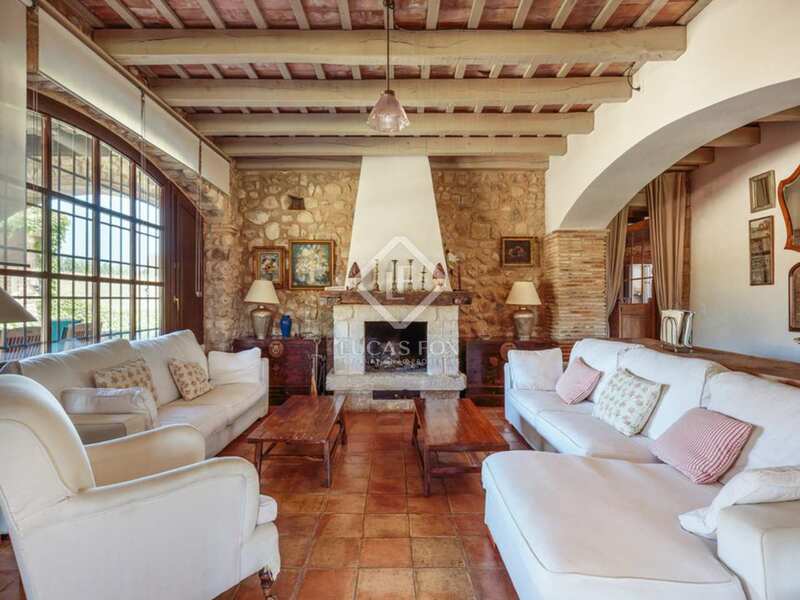 On the ground floor there is a spacious, open-plan living-dining area plus a further living area with a fireplace. 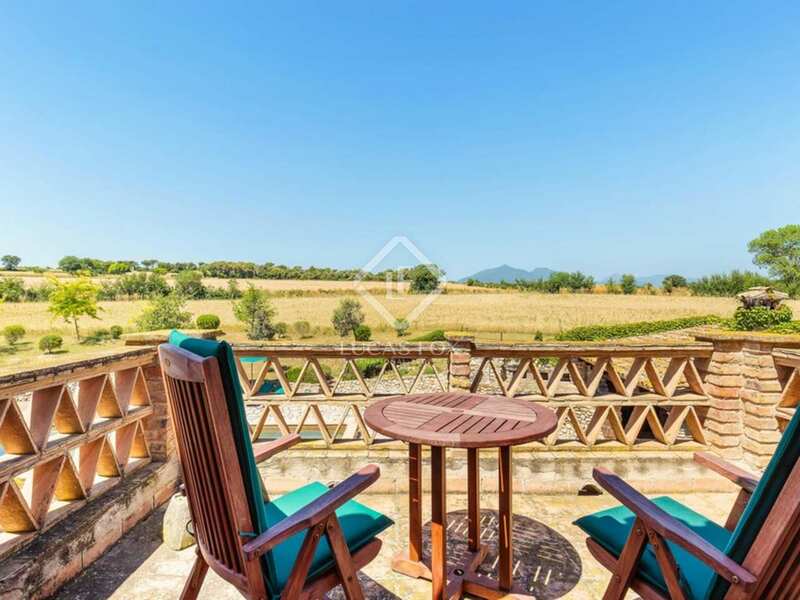 There is also a generous sized kitchen with a breakfast area and staff accommodation comprising a living room, kitchen and en-suite bedroom on the ground floor. 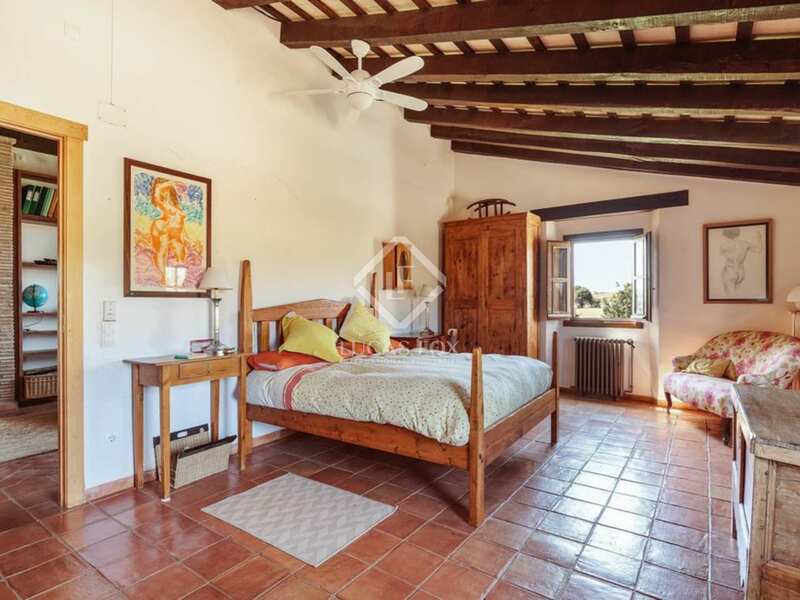 The master bedroom with its en-suite bathroom and walk-in-wardrobe is located on the first floor; this impressive bedroom has access to a private terrace from which lovely views over the pool area and mountains beyond can be enjoyed. 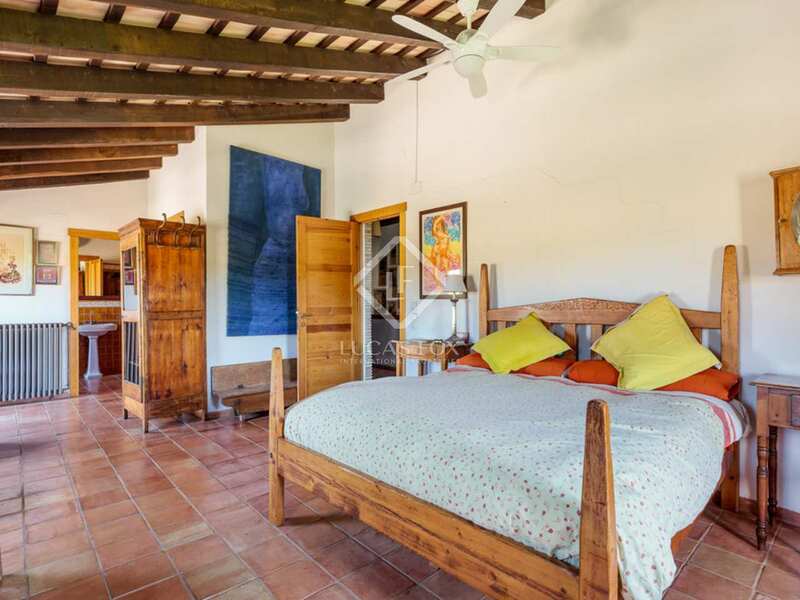 Five further bedrooms, 3 bathrooms and a laundry and installations room complete the first floor. 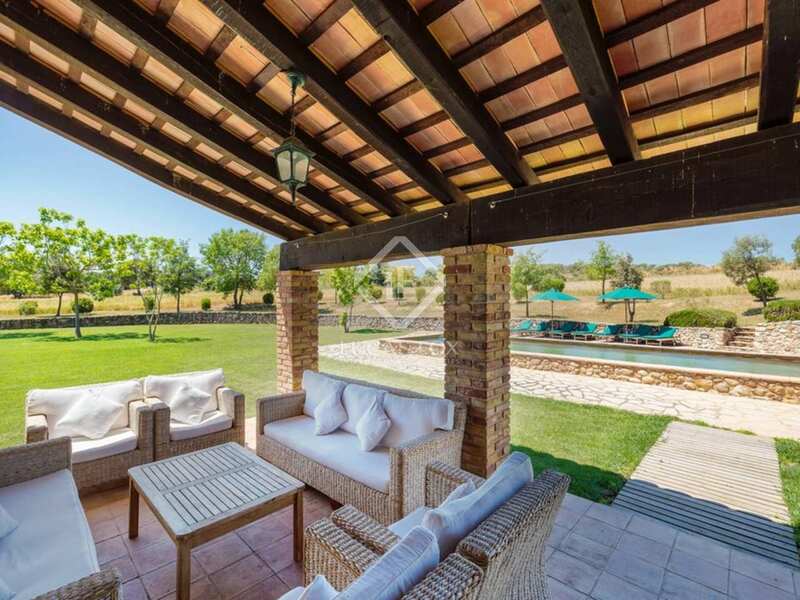 A lovely lawn garden, swimming pool with a poolside BBQ area and a large covered porch overlooking the pool are accessed from the main living area. 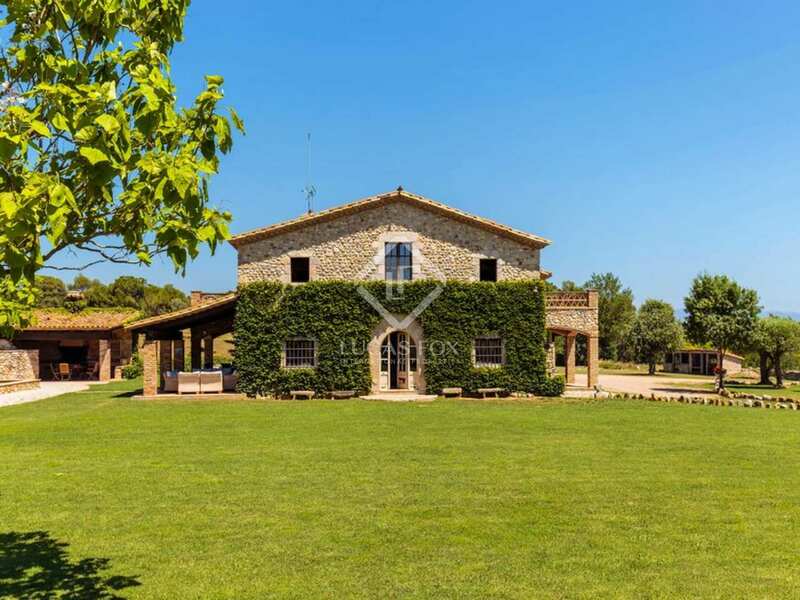 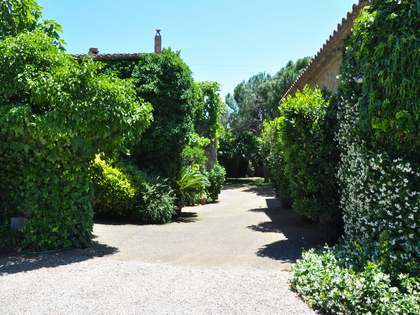 Furthermore, the masia offers breathtaking countryside views across the rolling countryside of the Alt Emporda to Canigó and the snow-capped Pyrenees. 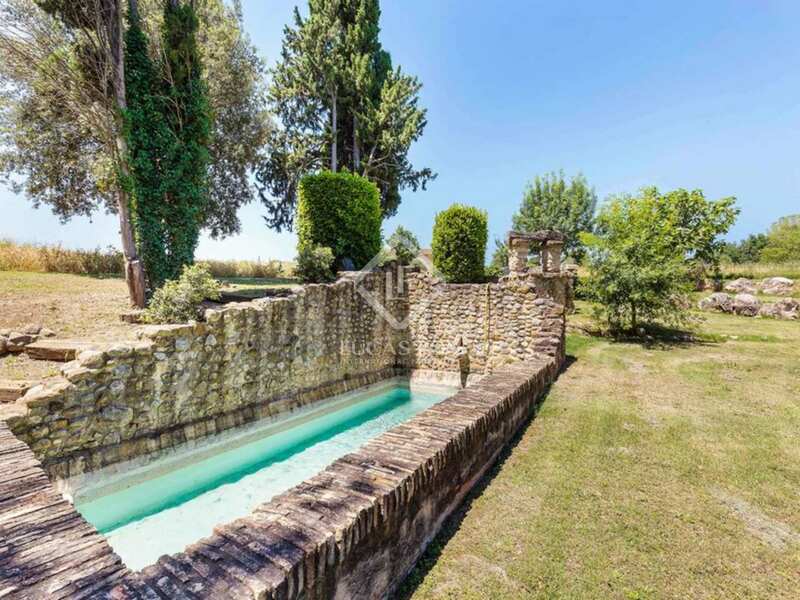 Further notable features include a private well with a 12000 litre water deposit, mains electricity, a water softner and gasoil central heating. 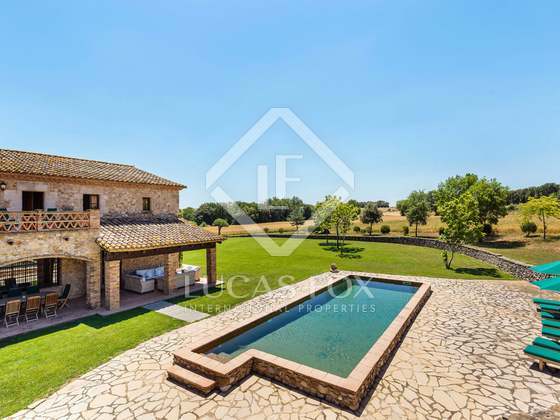 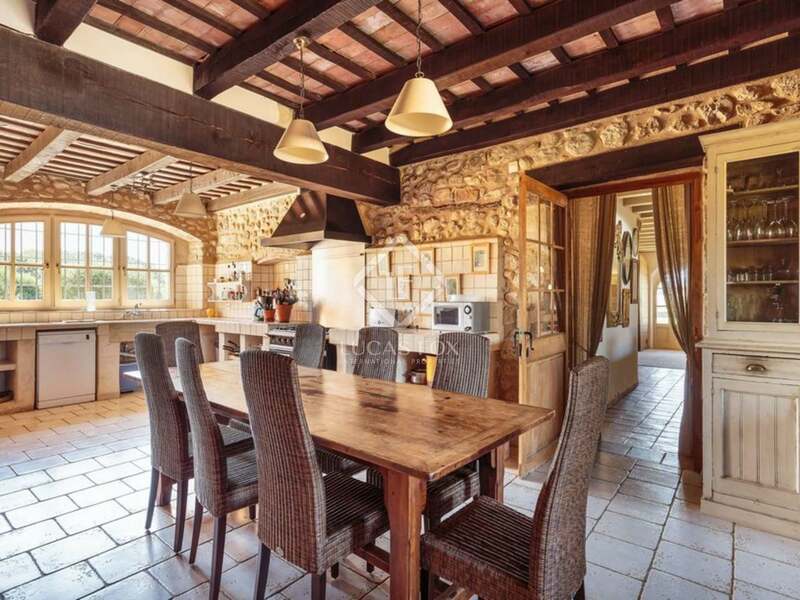 This stunning country house is an ideal primary residence or holiday home for a large family. 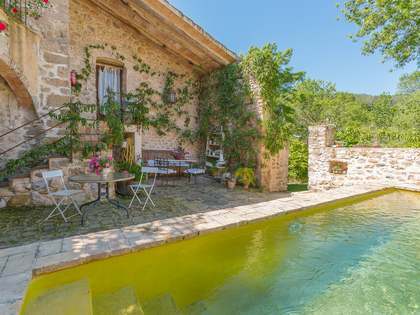 Also an ideal holiday rental investment.